Now in its fifth year, Wege Prize, developed by Kendall College of Art and Design of Ferris State University’s (KCAD’s) Wege Center for Sustainable Design with the support of the Wege Foundation, began as a regional competition before rapidly expanding to a national, then international level, with the field of teams growing significantly in geographical diversity each year. In 2017, the competition was opened up to graduate students, having previously only been open to undergraduate students. Beginning in August of 2017, Wege Prize 2018 challenged participating teams to develop a product, service, business/nonprofit model, or other solution that could help spur a transition from our current linear economic model—in which we take, make, and dispose—to a circular economy, an economic model that’s restorative and regenerative by design. Teams of five were required to represent different institutions of higher education and different fields of study, giving them an intentionally broad perspective with which to address the kinds of layered and systemic “wicked” problems perpetuated by a linear economic model. 17 teams entered Wege Prize 2018, representing 17 countries, 36 academic institutions, and 63 unique academic disciplines while including both undergraduate and graduate students. Guided by direct feedback from the competition’s panel of expert judges, the teams refined their solutions over the course of three distinct phases, with the scope and complexity of the challenge growing at each phase. 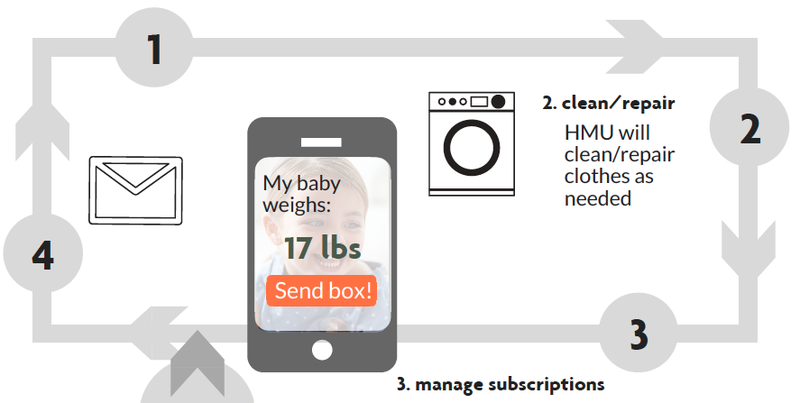 Booming Babies is proposing an online secondhand children’s clothing subscription service that builds a community of dedicated users while scaling adoption with mobile technology and RFID tagging. The team’s solution also plans to upcycle clothing that has reached the end of its life cycle through aggregation and remanufacturing by partnering with fabric dissolving/melting firms to create new fabric durable enough for extended use and soft enough for babies to wear comfortably. CarpeJur is proposing a closed-loop aquaculture system wherein freshwater fish are raised for human consumption while the system’s natural byproducts are upcycled to create additional value. Algae raised alongside the fish act as a biofilter, cleaning the water so that it can be recirculated into the system. Oil extracted from the algae is used in the production of biodiesel fuel, while the algae are used to create animal feed and the organic “sludge” left over becomes natural fertilizer. Circular Tourism Mexico is proposing Rutopia, an online platform that facilitates the transition to a fair, sustainable, and circular tourism system for indigenous communities in Mexico. The platform connects indigenous-run community tourism initiatives directly to their target audiences and offers them the tools they need to overcome obstacles that prevent them from competing in the ecotourism marketplace. At the same time, it ensures travelers will be able to seek genuine experiences while benefitting both indigenous communities and the environment. Greener Haven is proposing to resolve the information asymmetries of the residential housing construction market to connect those who need building materials with those who have materials to sell. The team has developed a mobile/web platform combining geolocation and image hosting services to enable crowd-sourced aggregation and sharing of data on materials newly harvested from demolished structures. The platform also provides educational tools to guide users on how to harvest these materials from the waste stream and unlock their potential for reuse. Sabon Sake is proposing the use of biotechnology and web-based technology to transform bagasse, the main waste byproduct of sugarcane farming, into bio-compost fertilizer, increasing accessibility to the larger sugarcane market for rural farmers in Ghana’s Volta Region and helping them achieve greater yields, reduce crop losses and ultimately, overcome poverty. The team has designed a composting system that uses liquid bio-inoculants and vermicomposting to extract maximum value from the bagasse while negating the harmful environmental impacts of burning it, the method by which it is currently disposed. These five teams will present and defend their solutions in front of competition judges and live/online audiences on May 18, 2018 at the 2018 Wege Prize Final Presentation and Awards Event, which will also be streamed live online at wegeprize.org. The top award of $15,000 will be given to the winning team, with awards of $10,000 and $5,000 going to the second-place and third-place teams, respectively.